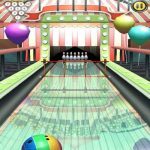 Even if you aren’t able to roll a strike in real life, you can do the same and maybe even play a perfect game in Miniclip’s iOS and Android title Bowling King. 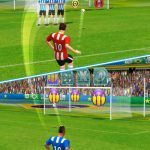 This is a multiplayer game where you can bowl against players from all over the world – no, not professionals, but other human players with an Android or iOS device in their hands. There are several bowling alleys to play in, more than 60 balls, and 27 pins and lanes that are available in the game. You can also choose a variety of modes and pull off more than 120 different achievements or rise through five different rankings. Just like real bowling, it takes a lot of practice to be the best in the game. 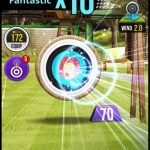 However, with the help of our collection of Bowling King tips, tricks and cheats you can beat more human opponents, earn more cash and chips, and unlock more items. Not a lot of people care for this tip, but those who want to take advantage of the social element and play against their friends should certainly connect their game to Facebook. But even if you’re okay with playing against strangers, or not a big fan of social games in general, there is one important benefit to connecting your game to Facebook, and that’s 200,000 free chips. And while still on the topic of social media, sharing major milestones on Twitter could get you 5,000 more free chips. If you play the game on a daily basis, you can take advantage of the free spin you’re allowed at the slot machine. Playing the slots can win you some free chips, and could also be just what the doctor ordered if you’re on a bad losing streak and all out of chips to play another game. Aside from the methods we mentioned above, you can watch free ad videos when they’re available. It doesn’t take long to complete these videos, so do watch a video if the game prompts you to. Tweeting about the game earns you 250,000 chips, making this another reason for you to be active on social media when playing Bowling King. If you’re looking for more cash to buy equipment, then you might as well try following the challenges, or quests that the game would give you. For example, you may be asked to roll a gutter ball but still be able to win the game. Cash is what you’ll use to buy new items, and sometimes, it’s better to win cash than chips, especially if you’re just starting out. Just a lot like it is in real bowling, you can get better results from your game if you use a different ball or bowl using a different technique. It’s all about practice when it comes to getting better, so experiment as often as you could and if the ball you’re using isn’t living up to your expectations, then go ahead and try another. What do the diamonds do on this game? Where do you find out how many diamonds you have? Sid, you need to login Facebook. How do I move up in levels? Play a lot. This game is totally addictive. I love it. How do I trade cash for chips to earn the achievement? What are the pieces and how do you collect them? Can everybody tell me how a person playing on bowling King can stand there with his ball ready to bowl and just all sudden being he gets a strike and the ball is still where he’s at, what I’m saying is he never threw it and got a strike. How do I collect “pieces” for ex. La games to open different pins? Mine shows numbers but it’s all me. The ones you are talking about are the ones with what I think are bots. The bowler throws the same throw every time and the pins fall the same way every time. All you can do is bowl a perfect game. Been playing 4 years. Been at 0 more than I’d like to admit. Now I’m at level 195 with over 12000000000 chips. There are players that I noticed always have the same 100 pin score as I do. I think they are computer generated. Sometimes they roll a perfect game, but if you can roll a perfect game, they’ll miss on the 6-7 frame, 8-9 frame and the 11-12 frame. 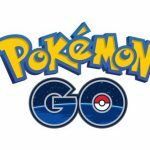 What does exp points mean and how to use them?